The Center for Corporate Transactions & Private Equity (CCTPE) at HHL Leipzig Graduate School of Management, the Bund institutioneller Investoren (bii) and the Börsen-Zeitung jointly organize the upcoming Institutional Investment Days, 20-21 May 2019, in Leipzig. The aim of the “Institutional Investment Days” is to provide a forum for representatives of the most successful national and international institutional investors to exchange views on current topics such as “Default Probabilities in Private Equity”, “Institutional Investment Platforms in Daily Practice”, and “Active vs. Passive Funds”. 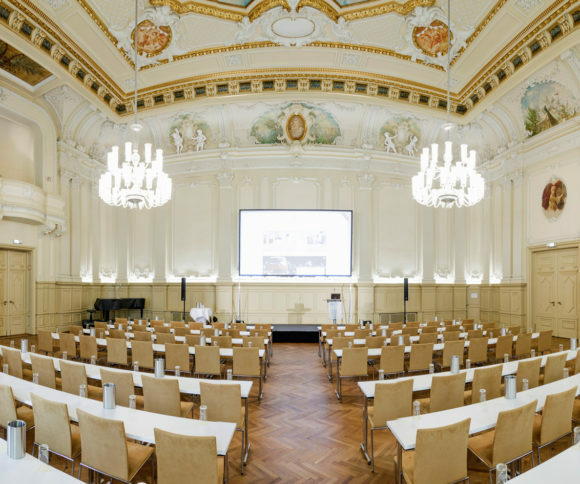 Speaker commitments have already been received from, amongst others, Allianz, APG Asset Management, AXA, BaFin, BASF SE, Boston Consulting Group, BVK, GIC Real Estate, HANSAINVEST, Munich Re, Neuberger Berman, nuveen Real Estate, P+P Pöllath + Partners, Stuttgarter Versicherung, VERKA, Versicherungsforen Leipzig, Yielco Investments.